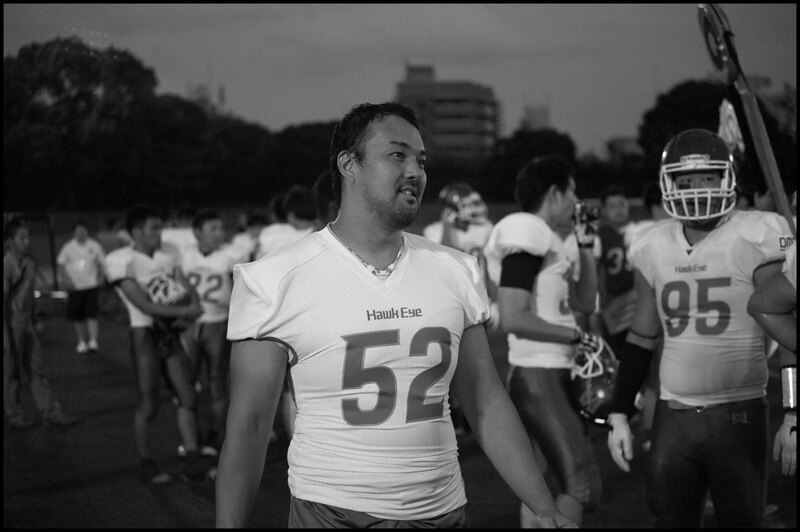 As One Black Eagles overcame Club Hawkeye 23-0 behind a hot start. 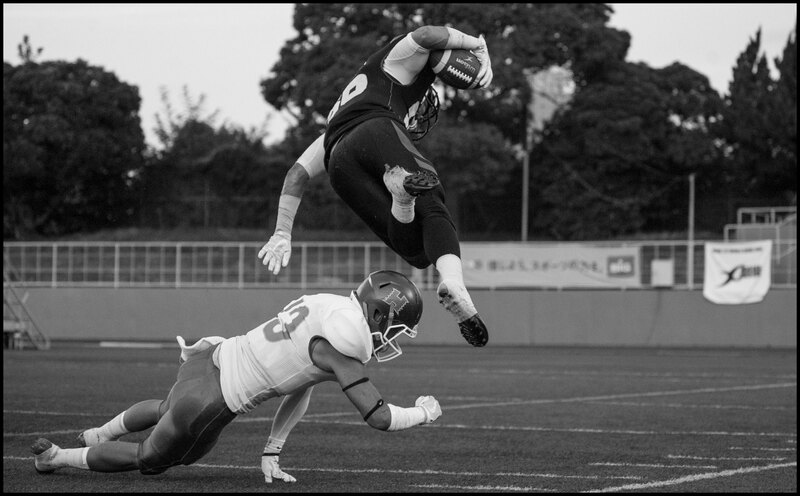 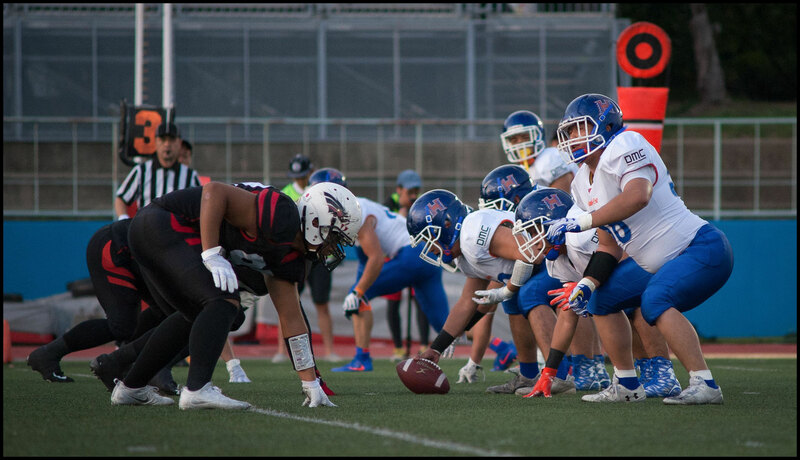 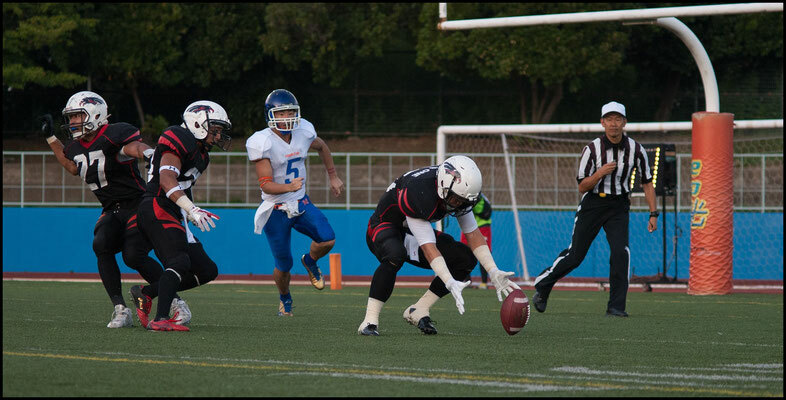 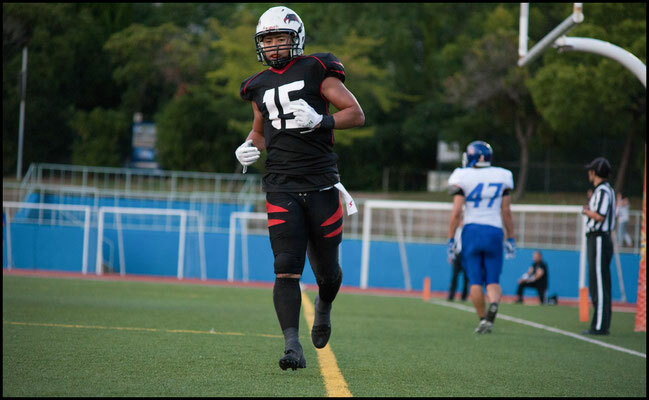 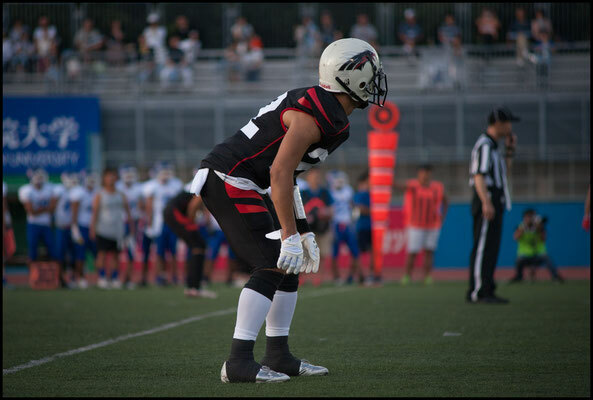 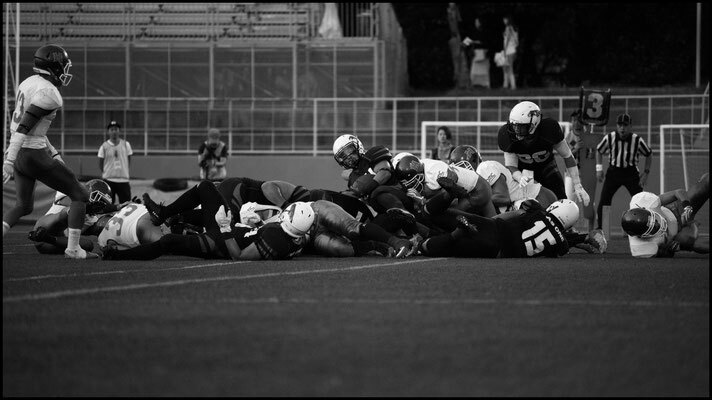 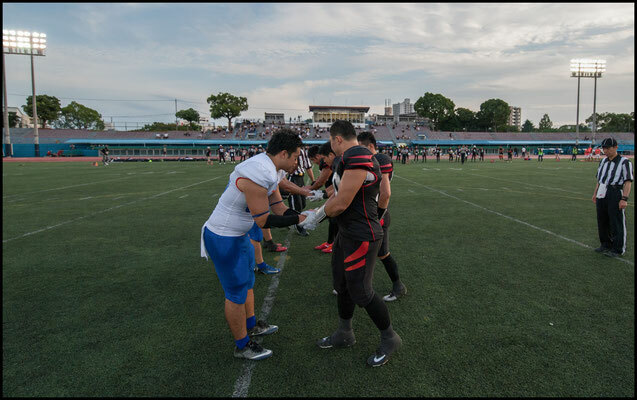 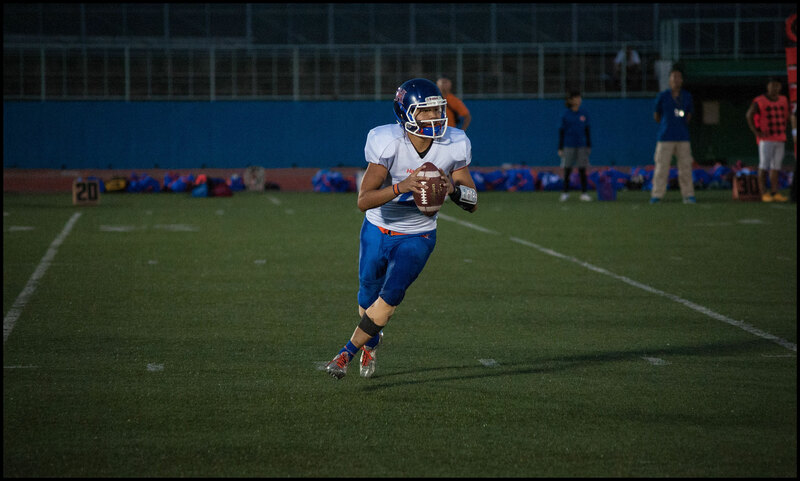 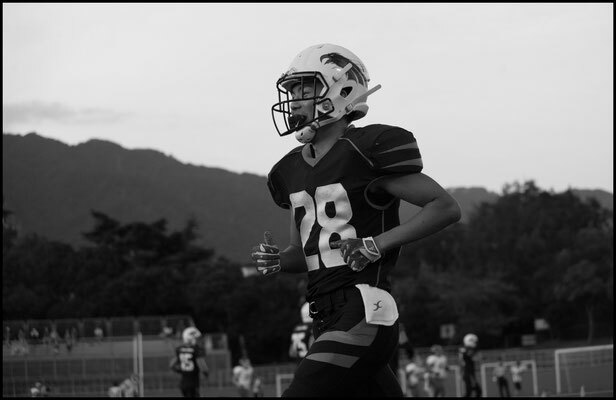 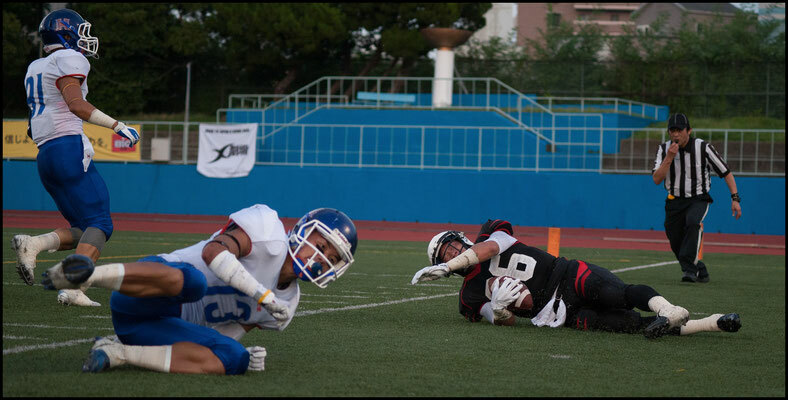 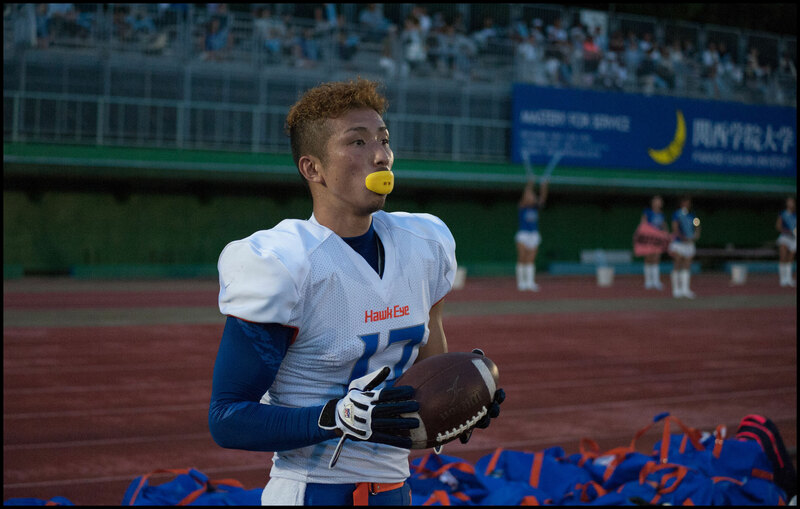 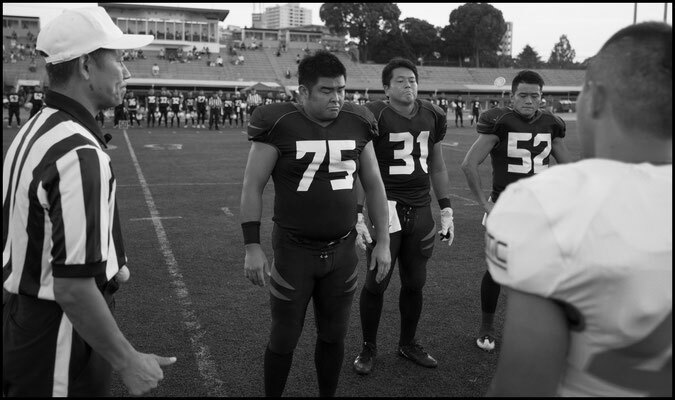 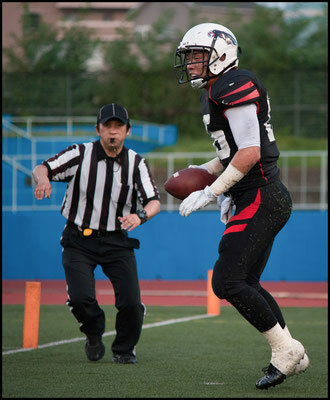 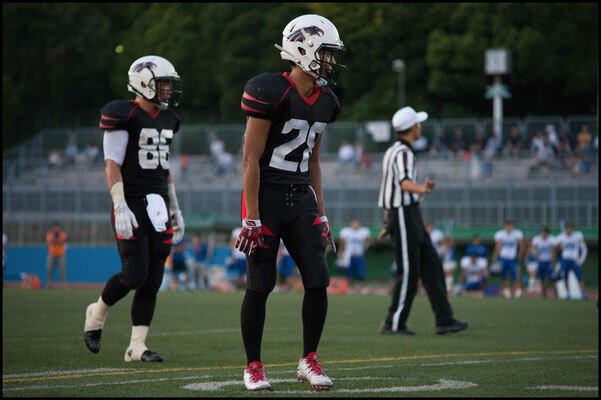 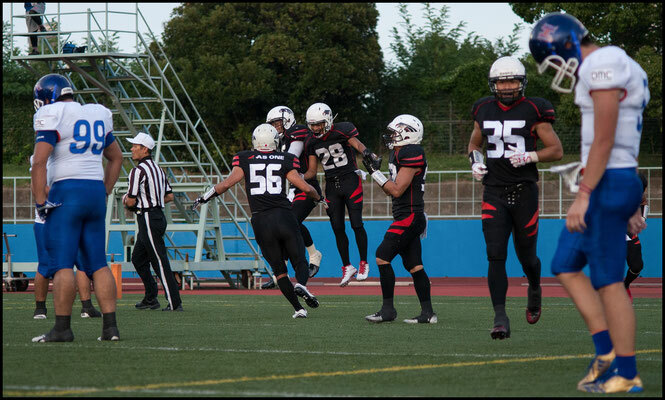 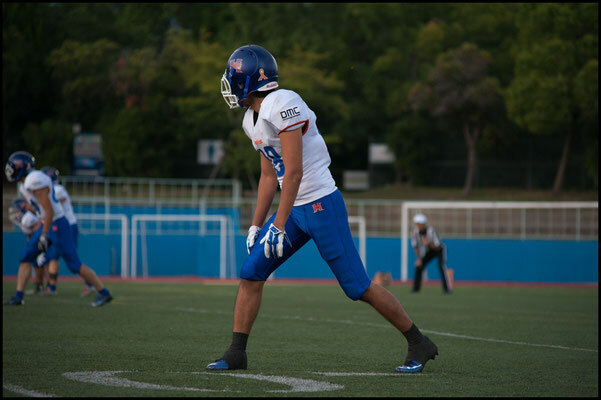 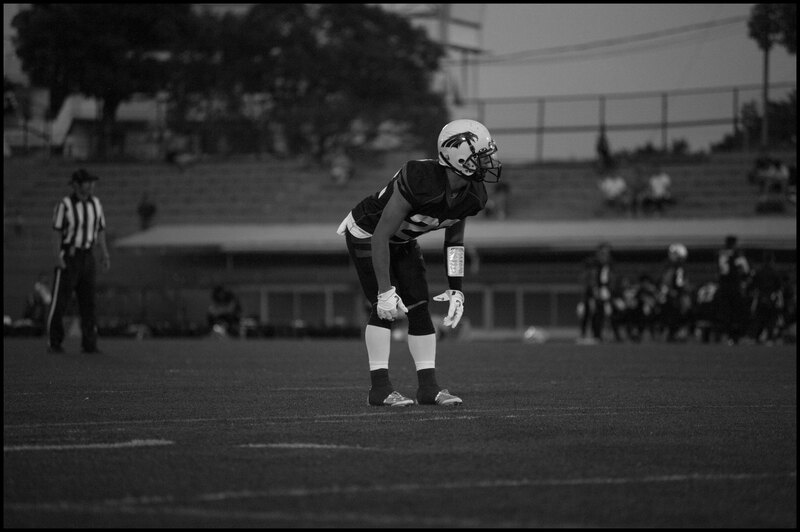 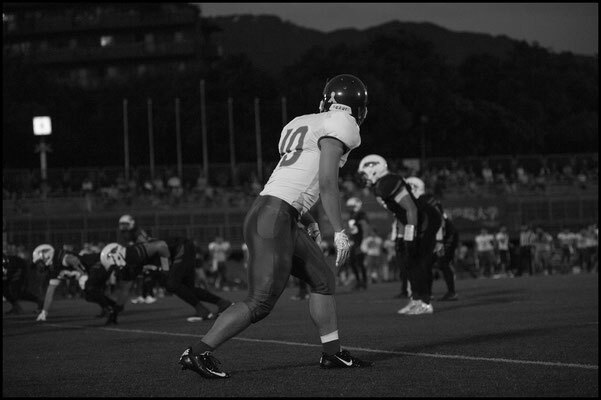 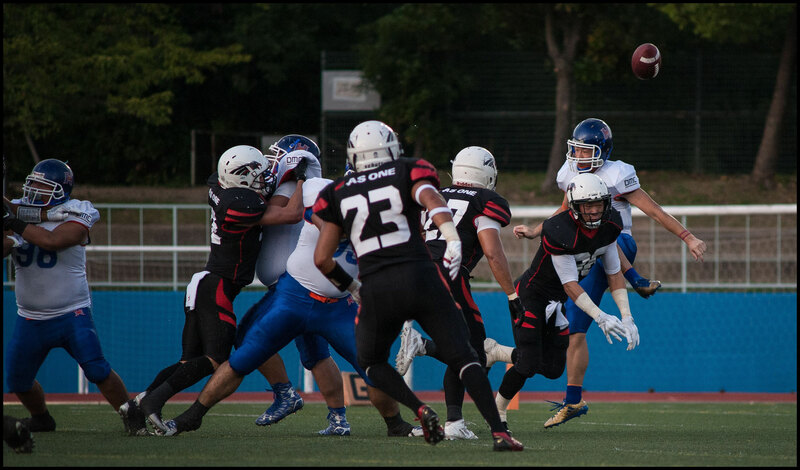 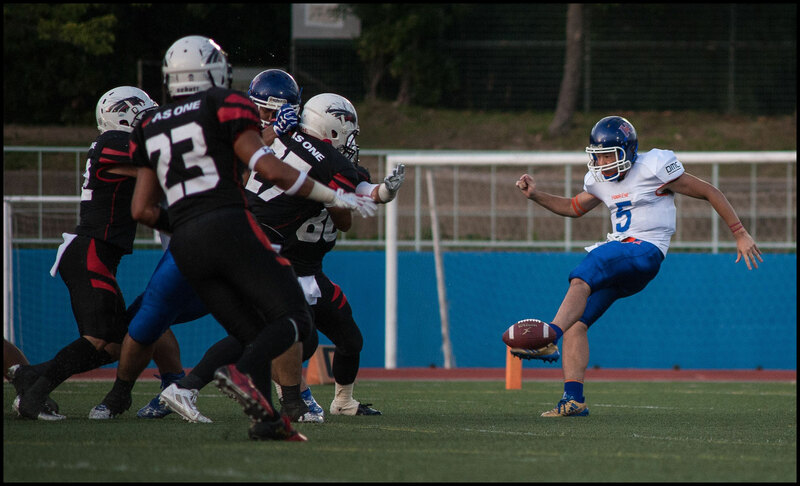 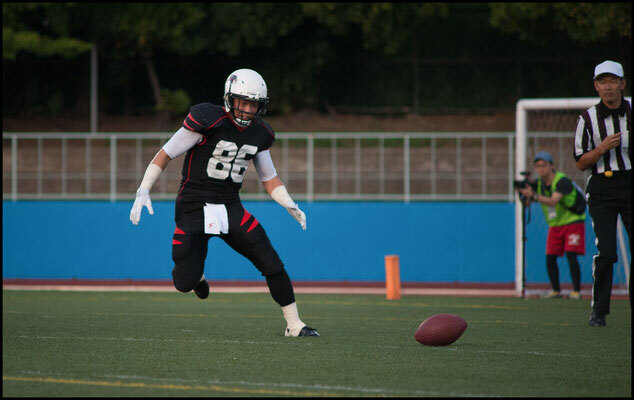 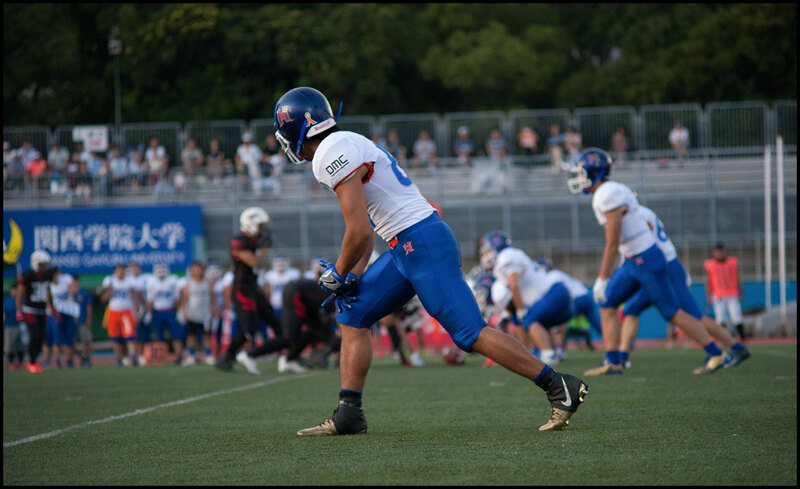 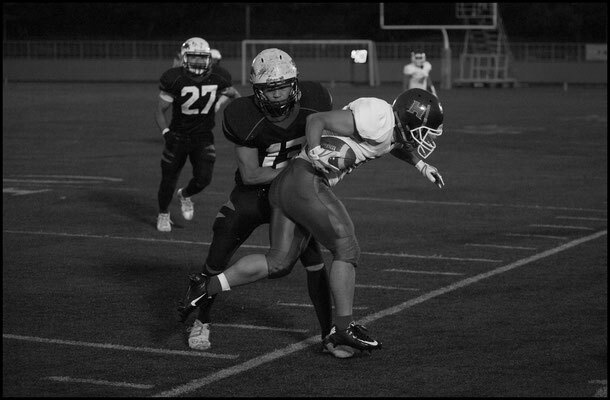 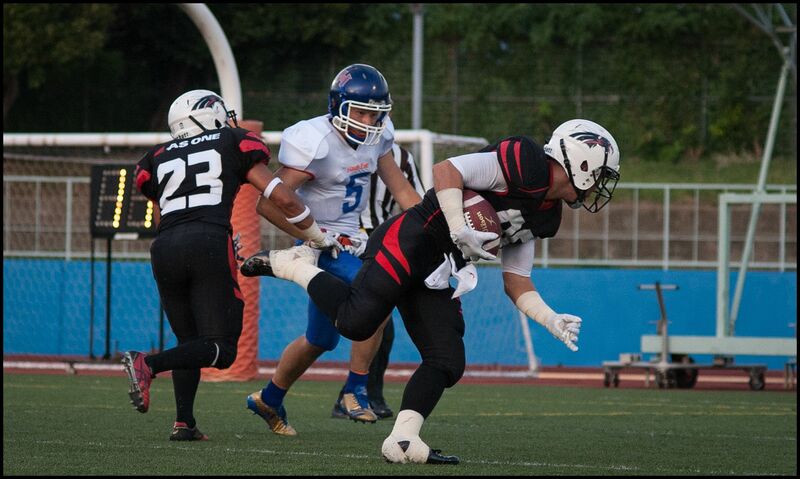 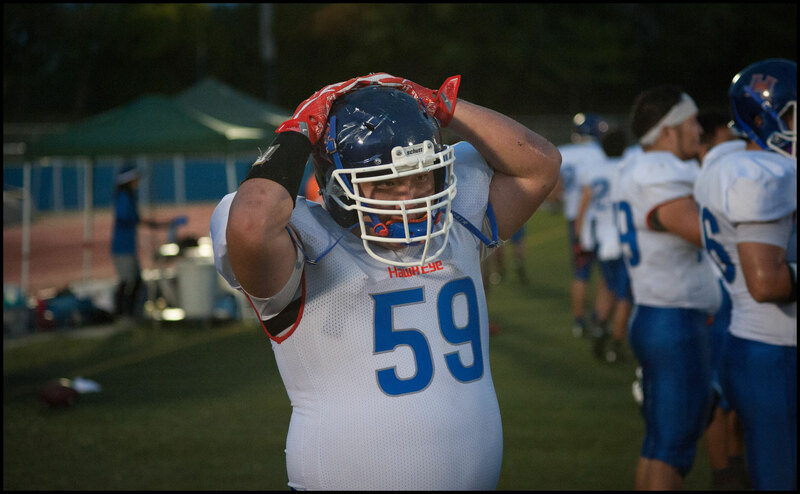 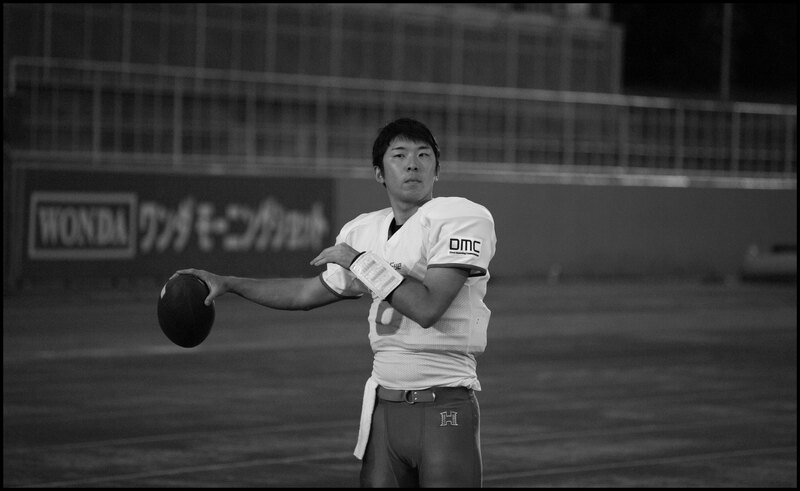 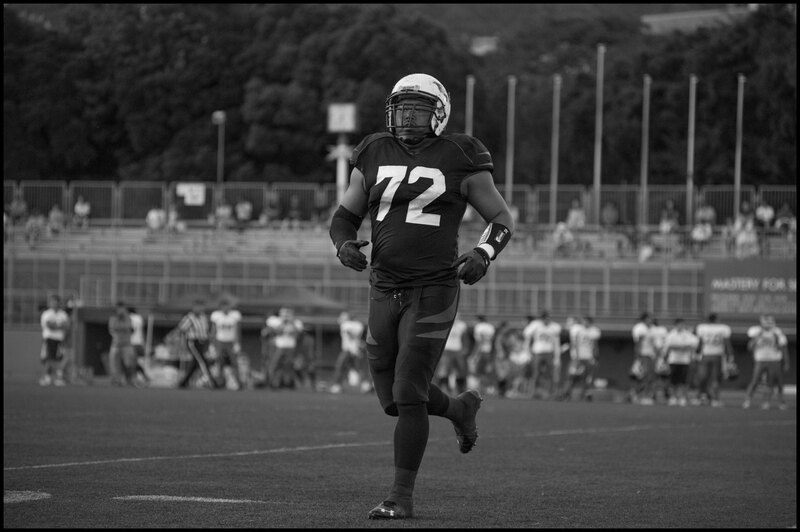 WR Kazuki Kawabata gave his team a lead they would never relinquish by blocking a punt, picking up the loose ball and skipping into the endzone for the contest's first score less than a minute into the game. 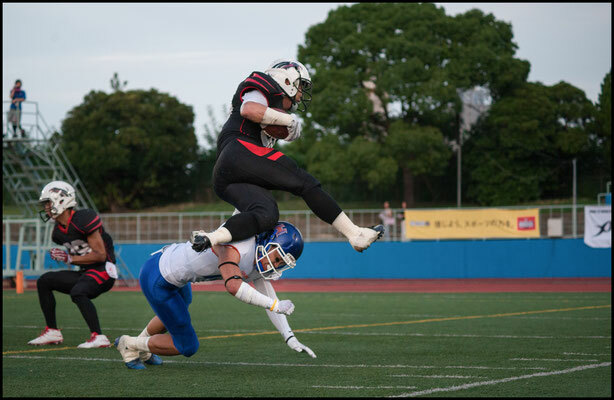 Nine minutes later, after a 12-play, 87-yard drive, and in a goal to go situation, RB Kazuki Okita just beat DB Akifumi Ichikawa coming around the side, dove up and over the pile to stretch Black Eagles lead to 14-0. 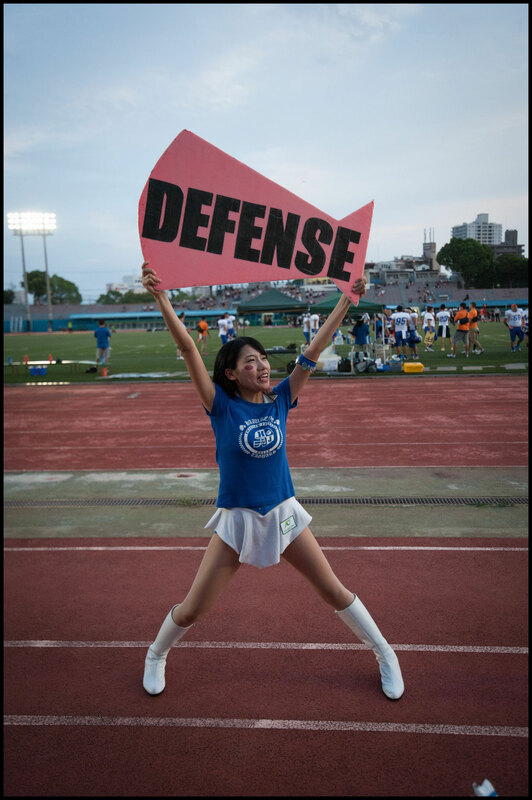 Hawkeye though, while they don't possess much of a scoring threat, are decent on defense and As One couldn't add to their points tally in the first half. 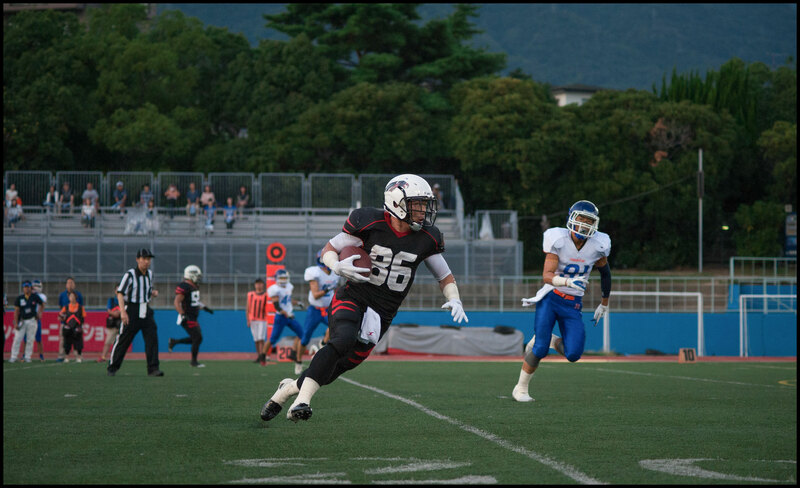 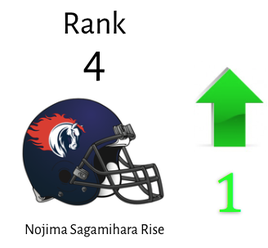 In the third quarter Nobuo Moriyasu picked off a Hiroki Endo pass and on the ensuing possession Black Eagles WR Takuma Imoto took a short pass over the middle, shrugged off three tackles and waltzed into the endzone. 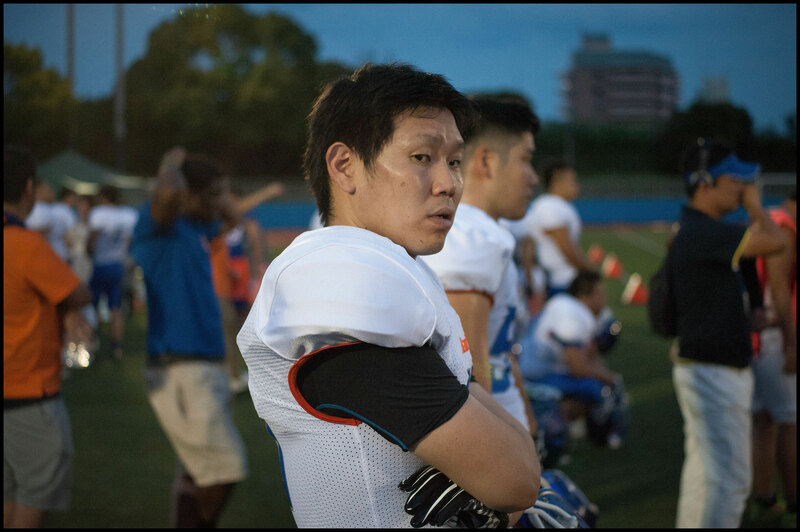 For Hakweye, former Panasonic man Shoma Endo, is still the only player on the roster to have scored any points this season. He was once again his team's main offensive threat, with four grabs for 99 yards - including a 58 yard catch and run to the five yard line. 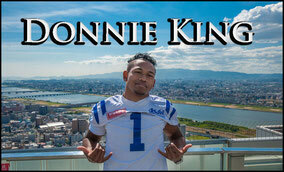 Unfortunately Endo doesn't have a lot of help around him though - especially with American Malcolm Dupree out injured. 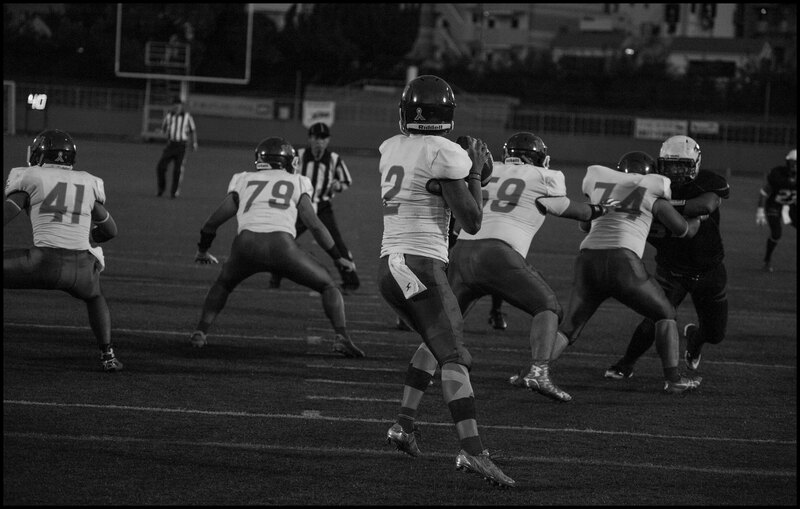 If Hawkeye could add one or two playmakers, their defense gives them a chance to be in games late. 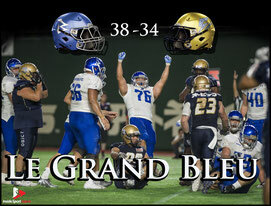 They are 0-2 but have a very winnable game next Monday in Nagoya against the Cyclones. 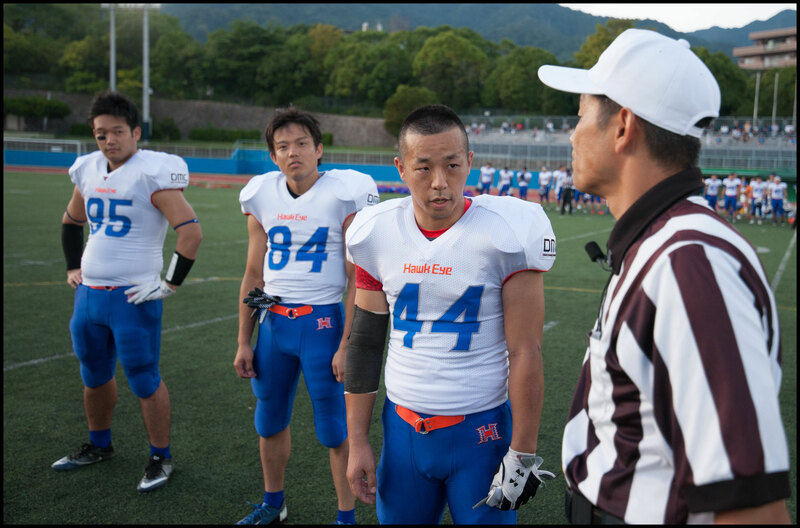 The Black Eagles conversely are really up against it with kansai's top team next on their plate. 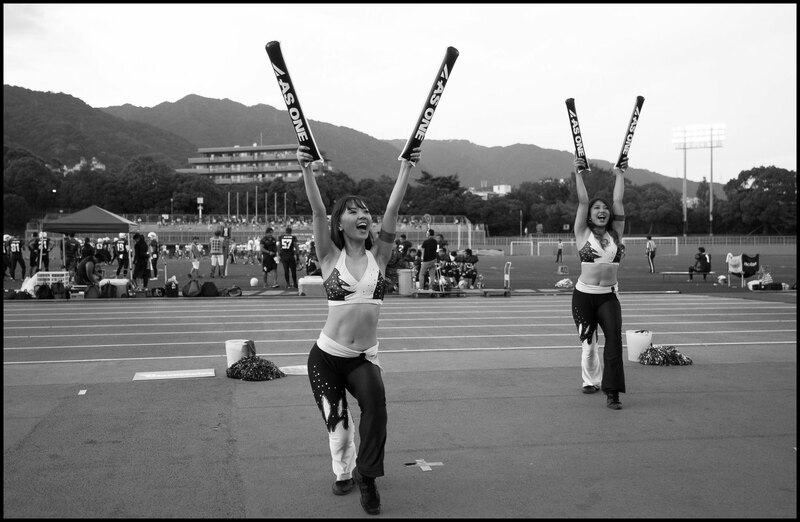 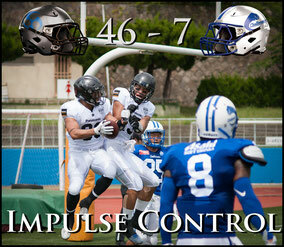 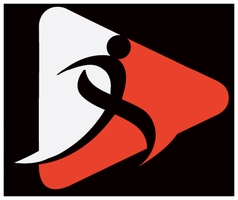 They lost 49-10 to Impulse in May and Panasonic are a better team now than they were then, even if they haven't quite put it together yet this season. 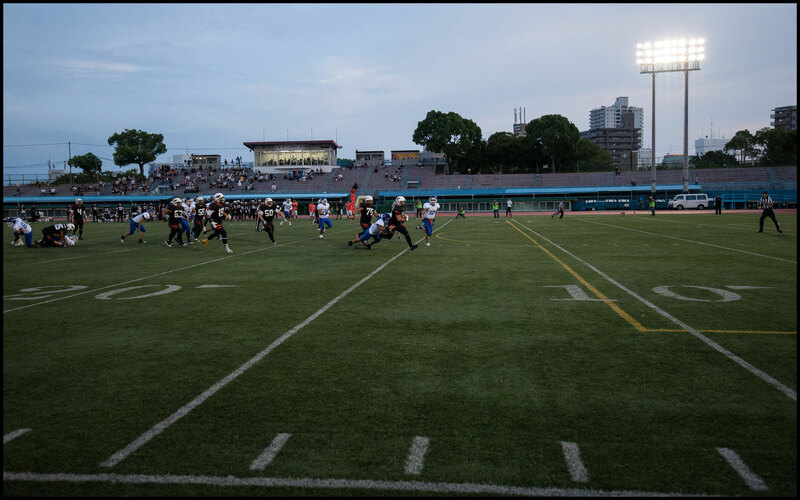 Expect that to change on September 17th at Oji stadium.